Valley travelers will now have another option to get to Sin City from the Valley of the Sun -- and it may even keep a few extra dollars in your wallet for, you know, drinks, snacks or the slots! 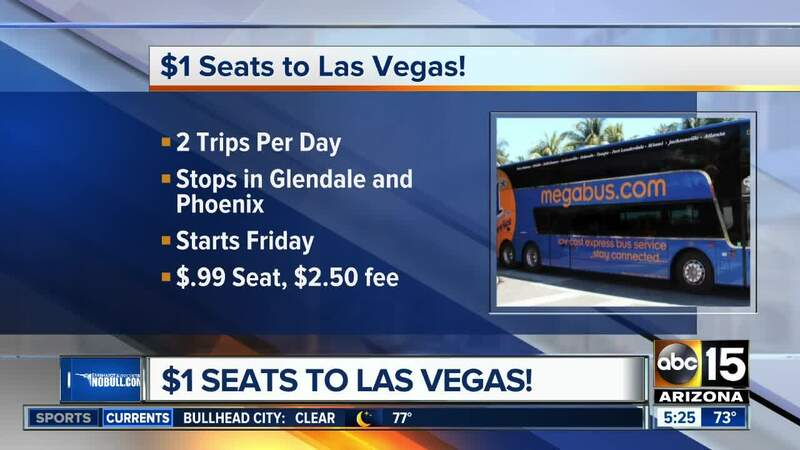 MegaBus.com on Friday announced that it would offer a new route between Phoenix and Las Vegas in May. It's a bit of a return for the discount bus service. MegaBus previously offered service between Phoenix and Los Angeles in 2006 but pulled out of the market in 2008. 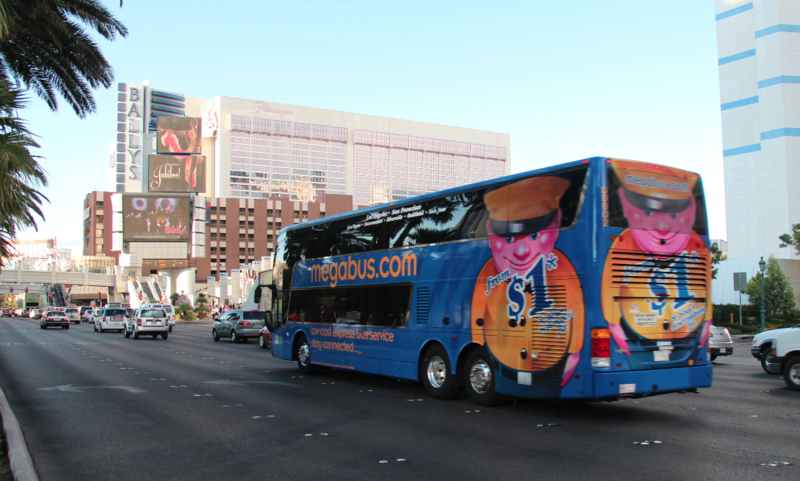 "Megabus.com is thrilled to be back and serving the people of Arizona by offering a safe, reliable, and environmentally friendly form of transportation to and from Arizona and Nevada," said Sean Hughes, director of corporate affairs North America, in a written statement. The discount bus service will have two daily routes between Phoenix and Vegas -- one in the morning and one in the evening -- beginning May 25, according to a news release. The bus will have pick-up and drop-off locations in Phoenix, 351 N. Central Avenue, and in Glendale at the Park and Ride near 59th Avenue and W. Myrtle Avenue. Travel time varies between five hours and five-and-a-half hours. A third stop in Tempe will begin July 1, a spokesperson said. It was initially supposed to begin June 12. It is not known why it was delayed. The stop will be on College Avenue between University Drive and 7th Street. Get this, if you book in advance, the fare could be as low as $1 one way, plus a $2.50 reservation fee. As buses fill up, the price does increase. While tickets will be sold through MegaBus.com, the bus service will be operated by Windstar Lines. Each ticket includes one carry-on bag and a checked bag. More bags will require an additional ticket, according to the website's " Frequently Asked Questions " section. Children under 17 cannot travel alone. They will have to travel with an adult, and IDs will reportedly be checked at the door, the website said. Editor's note: This article was updated with the new start day for the Tempe stop.